Why get a new BMW when these M cars are so cheap? New BMWs are pretty expensive. Even a basic 320i starts at $33,150. For that amount of money all you get is a 2.0-liter four-cylinder engine with 180 horsepower. That's less than you get from a 2.5-liter Mazda 3. If you're buying a BMW, you should buy one that isn't comparable to an economy car. 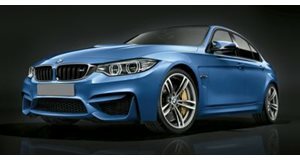 Unfortunately, the cheapest M car, the M2, starts at $51,700. You shouldn't be forced to spend more than $50,000 to get an M-badged BMW. On the used market, you don't have to. Here are five awesome M cars that cost less than the cheapest new BMW. What's better than a 180-horsepower four-cylinder? How about a 500-horsepower V10. Amazingly, you can now buy a V10-powered E63 M6 for less than a new 3 Series. The E63 and E64 M6 were built from 2006-2010. The astonishing V10 engine wasn't very efficient, but it did have one of the best exhaust sounds of any BMW ever made. You can find coupe and convertible models for less than $30,000 with either the seven-speed SMG or six-speed manual. The manual will be a bit more difficult to find. Owning an older M car will not be as "problem free" as a new car, and this M6 is no exception. If you're willing to risk it, you will be getting an amazingly sophisticated M car for less than a basic 3 Series. A brand new M5 starts at $94,100. 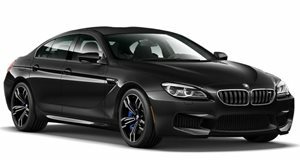 An M6 is even more at $113,700. Why spend six-figures on a new M5 or M6 when you can get one of the greatest driving sports sedans of all time for about one fourth of the price? For a nice E39 M5, you can expect to spend around $25,000. The E39 M5 was only in production from 1998-2003. The 394-hp 4.9-liter V8 may not be able to match the new car's twin-turbo 560-hp V8, but the driving experience will be a lot more involved. The new car comes loaded with bells and whistles while the E39's navigation screen will make you glad that it's not 2003 anymore. Just get a nicer head unit for the E39 and enjoy the wonderful driving experience, as well as the $75,000 or more that you saved. The BMW M2 is the baby M car, and it produces 365 hp from an inline-six. If you want a straight-six M car, we suggest getting a Z4 M Coupe. We have done an entire piece about the M Coupe, but that does not change how much we love this little car. 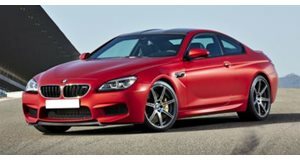 The Z4 M Coupe is powered by the S54 engine from the E46 M3, which is another M car that you could buy for less than $30,000. The S54 is a wonder of an engine with 333 horsepower in the M3 and 330 in the Z4. The newer turbocharged engines may be quicker, but they lack the sweet sound and ability to rev as high as the old S54. 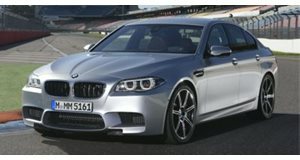 M Coupes and E46 M3s are rising in value, unlike a 320i which will lose value the second you drive it off the lot. The next car on our list also came with an S54 engine. Unfortunately, if you want to buy a Z3 M with the S54 for under $30,000, it will have to be a roadster. The coupe with this engine will cost far more. The S54 car is definitely quicker, but the 240 horsepower in the S52 has 60 more horses than the base 320i. If you're looking for something that will go up in value, the coupe is far more desirable right now. You can find an S52-powered coupe for less than $30,000 and a roadster can be had for as low as $10,000. If you absolutely have to have the 315 S54 car, look for any Z3 M built in 2001 and 2002, but only 678 of those made it to the US. Be prepared for a lengthy and expensive search. It will be worth it for this future collectible. If your goal is to spend less than the cost of a brand new 320i it's hard to beat the E90 M3. Why buy a slow, 180-horsepower 3 Series when for the same price you can get one with a 414-horsepower V8? You can find 2008 and 2009 M3s for less than $30,000. You may even find a few 2010 and 2011 models. If you want one with iDrive navigation, try to buy a 2009 model or newer because it has a nicer version of the system. These M3s are great whether you get the DCT or the manual and are actually pretty reliable. You will pay a lot more money for gas, but it's worth it to hear that V8 scream at over 8,000 rpm. Who says a BMW for less than $30,000 has to be slow? 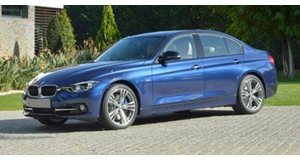 Why would anyone buy a 320i?